Only 99¢ while on pre-order! Made the USA Bestseller’s List! 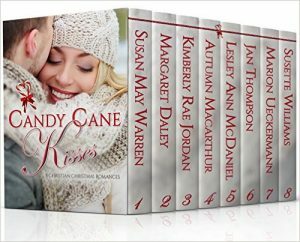 http://store.kobobooks.com/en-US/ebook/sealed-with-a-kiss-27**One of the best ways to get our books noticed is the sales ranking. 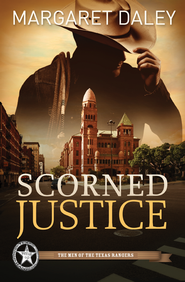 If you are willing to pre-order at one or more of the retailers, email your receipt and your mailing address to lacyjwilliams@gmail.com and I will reimburse you the $1 spent at each retailer. 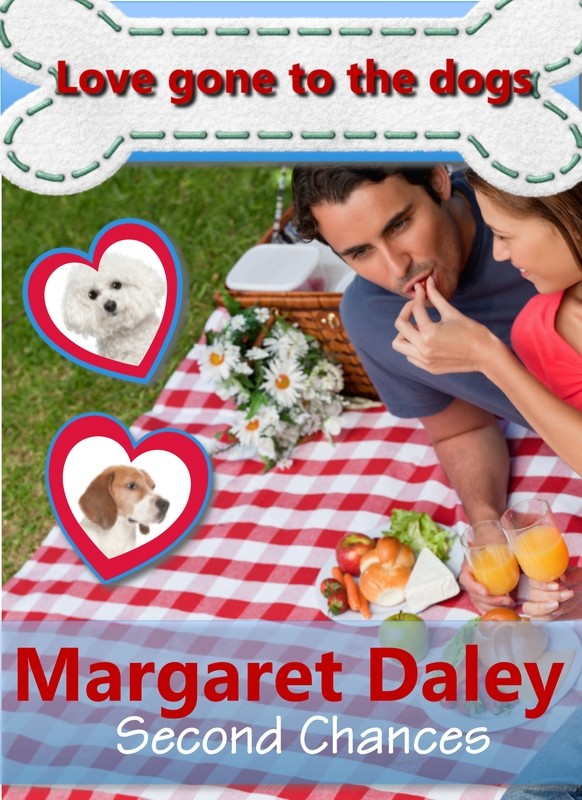 August 13, 2013 I’m the featured author on Kindle Books and Tips with Love Gone to the Dogs. Thirty days of reviews, interviews, and giveaways. 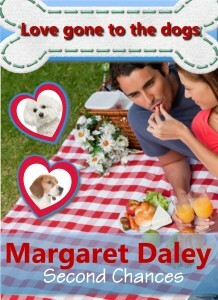 Check out Pump Up Your Book web page for the stops on this blog tour for Shattered Silence by Margaret Daley. Also chick on the read more button at the bottom for a list of other blogs I will be appearing on. 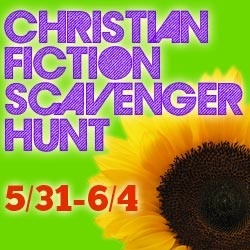 October 5: Christian Fiction Scavenger Hunt starting here. Visit all the blogs for a chance to win tons of books to read on a long winter night. October 7: I am on the Suspense Zone at www.thesuspensezone.com. October 10: I will be on Melissa Tagg’s blog today. Check it out at www.melissatagg.com. October 10: I will be on Kirsten Arnold’s blog at www.kirstenlynnwildwest.com/blog/. October 12: I am on Sharon Srock’s blog at www.womenofvalleyview.blogspot.com/. October 14: I will be on Fresh Fiction’s blog at www.freshfiction.com/blog/. October 15: I will be on Deborah Piccurelli’s blog at www.deborahmpiccurelli.com. October 15: I will be on Karin Beery’s blog at www.karinbeery.com/blog/. October 19: I am on Chapter a Week. October 24-25: Christian Scavenger Hunt starting here. Visit each author’s page through the hunt for a chance to win a Kindle Fire and books. October 29: I am on Lily George’s blog at ladyscribes.blogspot.com. October 30: I am on Craftie Ladies of Romance’s blog. Join 400+ authors at the RWA Literacy Autographing on Wed., July 25, from 5-8 p.m. at the Anaheim Convention Center! I will be signing at this huge booksigning in Anaheim. If you are nearby, stop by and say hi to me. I will be at table 300. See that pile of books on the left? We’re giving away a grand prize of all of those to one lucky participant. Many of us are also having individual giveaways for visiting our blogs. It’s going to be a lot of fun! So mark your calendars now and plan to play along starting May 31st…Instructions coming May 31st at noon MST. May 19, 2012 I will be having a booksigning at Lifeway Christian Store in Tulsa (Highway 169 at 71st Street) from 1-3:00 pm. I will be signing Saving Hope. I’m having a blog tour for Saving Hope this month (its release month). At a lot of the blogs there will be a giveaway. 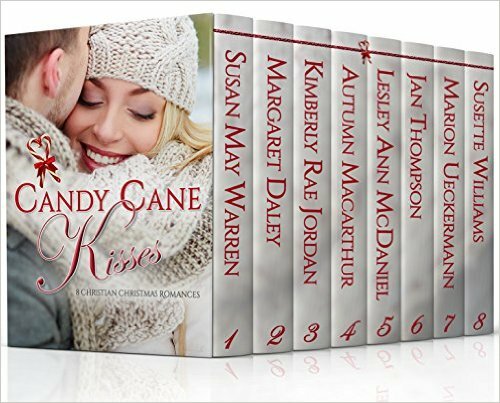 November 15, 2011: I sold 5 books to Love Inspired and Love Inspired Suspense and one book to Harlequin’s Heartwarming Series. This will make 81 books that I’ve sold. I’m going to be at a booksigning at Lifeway Christian Store, 10333 E. 71st St. South, Tulsa, Ok 74133 on October 21, 2011, Friday, 5 pm-7 pm. I’m also going to be at a booksigning at Lifeway Christian Store, 3621 Northwest Expressway, Oklahoma City, OK 73112 on October 22, 2011, Saturday, 11 am-1 pm. Come join me for the celebration of the release of From This Day Forward. July 11-13, 2011 I’ll be at ICRS and will be in the ACFW booth (#100). 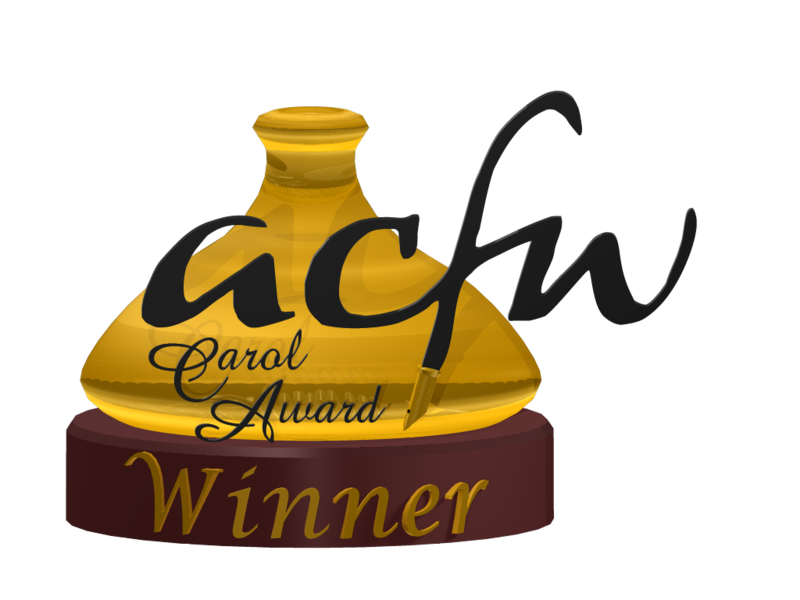 On July 12th I will be announcing the Carol finalists at a press conference at 3 p.m. in Room B 301 at Atlanta’s Georgia World Congress Center. On July 13th I will be on a panel at 10 a.m. about How to Grow Sales By Better Understanding the Fiction Publishing Process in Room b 204 at the Georgia World Congress Center. June 28, 2011 I’m signing Protecting Her Own and Trail of Lies at a huge booksigning at RWA annual conference in New York City at the Marriott Hotel Times Square from 5:30-7:30 pm. June 30, 2011 I’m signing Protecting Her Own at Harlequin’s Booksigning at the RWA annual conference in New York City at the Marriott Hotel Times Square in the Westside Ballroom Salon 1 from 9:45-11:15 am. July 1, 2011 I’m on a panel at RWA annual conference from 2:00-3:00 pm called The Inspirational Romance Market: Advice from the Pros. Dec. 1, 2010 Christmas Bodyguard is number one in the ebook store for eHarlequin! View it here. Nov. 1, 2010 I will serve as president of American Christian Fiction Writers for 2011 and 2012. Oct. 1, 2010 I recently sold a three book romantic suspense series called the Men of Texas Rangers to Abingdon Press and a historical romance to Summerside Press. I sold five books to Steeple Hill–three Love Inspired and two Love Inspired Suspense books.In November eHarlequin will be featuring an eight-part story of mine called Shattered Trust. It is about David Russell’s police partner. Forsaken Canyon is a finalist in the short romantic suspense category in the ACFW Book of the Year contest.Forsaken Canyon was a finalist in the Gayle Wilson Award of Excellence in the romantic suspense category. Forsaken was a finalist in the Holt Medallion in the short inspirational category. Family Ever After won the short inspirational category in the Holt Medallion Contest. I recently sold four more books to Steeple Hill. One will be a new series for Love Inspired Suspense and the other three will be a series about home schooling for the Love Inspired line. Love Lessons is the first in the Love Inspired line about home schooling. It will be out April 2010. Also, I will have a novella up at eHarlequin in November 2009 tied into the Fostered by Love Series. I am servicing as volunteer coordinator and board member of American Christian Fiction Writers (a great online organization). I recently sold two more Love Inspired Suspense books. One is the third book in the LIS 2010 continuity coming out in March of 2010. It is called Cowboy Protector in the Witness Protection Series. The second one is a Christmas novella for December 2009. The other author in the anthology is Debby Giusti. Heart of the Family came in second place in the Book of the Year Contest for American Christian Fiction Writers in the short contemporary romance category. Buried Secrets won the Inspirational Romance Readers’ Contest in the short contemporary suspense category. Heart of the Family is a finalist in the Book of the Year Contest for ACFW in the Short Contemporary category. Vanished is a finalist in the Book of the Year Contest for ACFW in the Short Contemporary Suspense category. Vanished is a finalist in the Daphne du Mauier Contest. Buried Secrets is a finalist in the Inspirational Reader’s Choice Contest. Buried Secrets and Vanished are finalists in the Golden Quill Contest. Buried Secrets won this contest in the inspirational category. 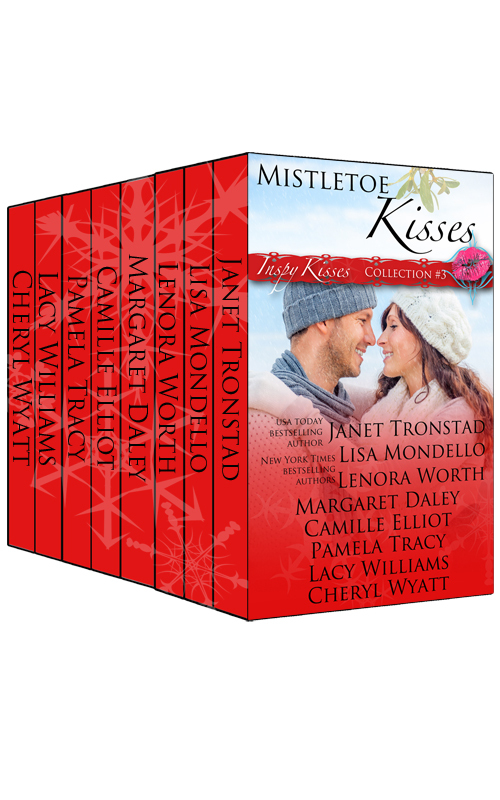 Buried Secrets won the Winter Rose Contest in the inspirational category. So Dark the Night and Once Upon a Family are finalists in the Beacon Contest. 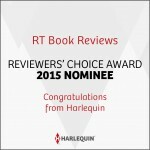 Buried Secrets is a finalist in the Daphne Contest for romantic suspense. Once Upon a Family is a finalist in the 2008 Award of Excellence. Steeple Hill has asked me to write a novella called WHEN NIGHT FALLS about the first time Sam Pierce and Jocelyn Gold met. They are my hero and heroine in WHAT SARAH SAW, the first book in the Love Inspired Suspense continuity series for 2009. WHAT SARAH SAW comes out in January. WHEN NIGHT FALLS will be available for promotions through Steeple Hill. I will be a speaker at the Ozark Conference in June (6/13-15) in Springfield. I will be a speaker at the ACFW Conference in September in Minnapolis (9/18-21). Heart of the Amazon is a finalist in the inspirational category for the National Reader’s Choice Award. HEARTS ON THE LINE won the American Christian Fiction Writers‘ Book of the Year for Short Romantic Suspense. 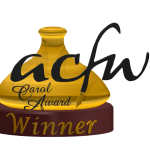 HEARTS ON THE LINE, Love Inspired Suspense, won American Christian Fiction Writers’ the Carol Award in the short suspense category at its national conference. HEARTS ON THE LINE is a finalist in the Book of the Year Contest for ACFW in the short suspense category. WHEN DREAMS COME TRUE won the short contemporary category for Inspirational Reader’s Choice Contest. I have sold another book for a Love Inspired continuity series in 2008 called HOMECOMING HEROES. My book will be the fifth one in November 2008. TIDINGS OF JOY was a finalist in the Gayle Wilson Award of Excellence in the Inspirational category. WHEN DREAMS COME TRUE is a finalist for the Inspirational Readers Choice Contest in the short contemporary category. A MOTHER FOR CINDY placed first in the Barclay Gold in the inspirational category. I recently signed another contract with Steeple Hill for three books–two Love Inspired and one Love Inspired Suspense. I also have been invited to participate in another Suspense continuity. My book will be the third one in the Reunion Revelations Continuity that will come out the first part of 2008. A MOTHER FOR CINDY is a finalist in the Texas Gold Contest in the inspirational category. LIGHT IN THE STORM is a finalist in the Holt Medallion Contest in the short inspirational category. A MOTHER FOR CINDY and LIGHT IN THE STORM are finalists in the Write Touch Readers’ Award Contest in the inspirational category. LIGHT IN THE STORM is a finalist in the inspirational category for the Golden Quill. 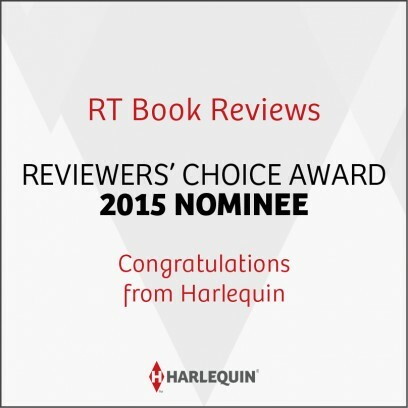 THE CINDERELLA PLAN was the Reader’s Choice for Best Inspirational 2005 at eHarlequin. A MOTHER FOR CINDY is a finalist in the inspirational romance category for the Gayle Wilson’s Award of Excellence for 2005. GOLD IN THE FIRE placed second in the short contemporary category of the American Christian Fiction Writers‘ Book of the Year Contest. I have signed another three book contract with Steeple Hill for two Love Inspired books and one Love Inspired Suspense. The first book is Tanya’s story which will end my Ladies of Sweetwater Series. TIDINGS OF JOY comes out October 2006. A FAMILY FOR TORY is a finalist in the Texas Gold contest in inspirational romance, March 2004, Love Inspired. I will be speaking at RWA national conference at the end of July in Reno on Falling in Love Without Falling into Bed. GOLD IN THE FIRE was Cataromance Best Love Inspired for 2004. Put this link to the review. A FAMILY FOR TORY and Gold in the Fire are finalists in the Golden Quill contest in the inspirational category. WHAT THE HEART KNOWS is a finalist in the short inspirational category of the Holt Medallion, January 2004, Love Inspired. In November http://www.eharlequin.com will be featuring an eight-part story of mine called Shattered Trust. It is about David Russell’s police partner. Forsaken Canyon is a finalist in the short romantic suspense category in the ACFW Book of the Year contest. Forsaken Canyon was a finalist in the Gayle Wilson Award of Excellence in the romantic suspense category. I am servicing as volunteer coordinator and board member of American Christian Fiction Writer (a great online organization). HEARTS ON THE LINE won the American Christian Fiction Writers’ Book of the Year for Short Romantic Suspense. HEARTS ON THE LINE, Love Inspired Suspense, won ACFW (American Christian Fiction Writers) Book of the Year Contest in the short suspense category at its national conference. GOLD IN THE FIRE placed second in the short contemporary category of the American Christian Fiction Writers’ Book of the Year Contest. GOLD IN THE FIRE is a finalist in the More Than Magic contest in inspirational romance, October 2004, Love Inspired. 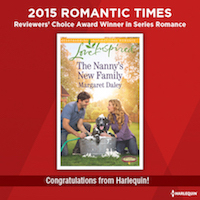 A FAMILY FOR TORY is a finalist in the Laurie in inspirational romance, March 2004, Love Inspired.